Eleven gigahertz of high-frequency spectrum is now available for use in mobile broadband technologies, after the FCC on Thursday created the Upper Microwave Flexible Use service in the 28GHz, 37GHz and 39GHz band, along with a new unlicensed band, even higher up the spectrum, in the 64-71GHz range. The move was greeted with delight from the U.S. telecom industry, which said that the opening of new spectrum is a critical step on the road to 5G wireless technology. The millimeter-wave bands – those between 30GHz and 300GHz – are central to the development of 5G, and the U.S. is now the first country to designate those frequencies for commercial use. That’s important, according to Telecommunications Industry Association CEO Scott Belcher, because America doesn’t have the early technological edge with 5G the way it did with 4G/LTE. The president of wireless trade group CTIA, Meredith Attwell Baker, echoed that sentiment, and said that the competitive advantage of the FCC’s move cannot be overemphasized. 5G technology is still a long way off – the generally accepted timeline says that we’ll see it hit the retail market in about 2020 – and there’s a lot to do between now and then. While the millimeter-wave spectrum is thought to be key to any future 5G tech, the precise details of any 5G specification are far from settled. 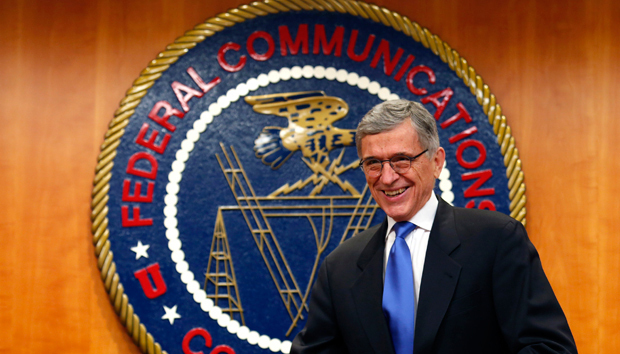 Yet the FCC’s move is widely seen as a step in the right direction. An analyst with the Information Technology and Innovation Foundation, a tech industry lobbying group in Washington, D.C., praised the FCC for its action.